E3 of the year just happened and Microsoft it done with their announcements, among the announcements their latest console launch was their biggest +plus point. Microsoft has up'ed their game against their rival Sony by launched two different variants of the all new console, namely - Xbox One X (also known as Project Scorpio) and Xbox One S which are about to be available for Pre-order later this year starting at $499. These consoles are first to go sale in US and UK at both retail and eCommerce sites. 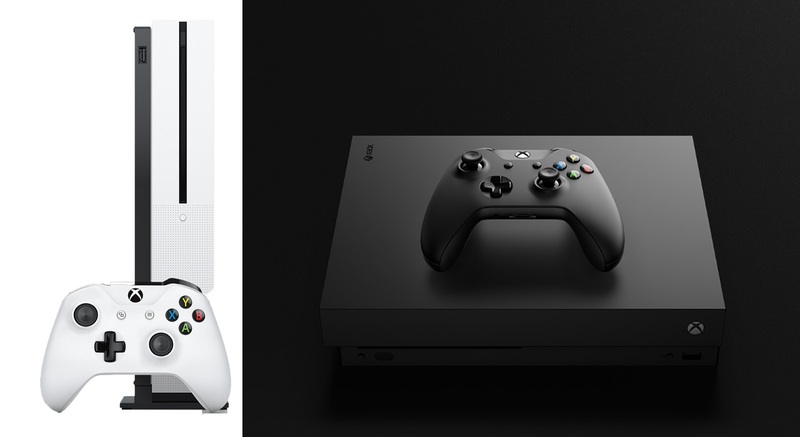 The Xbox One S seems to be the "mini" version of the original Xbox One X by which Microsoft claims the Xbox One S to be 40% smaller than the Xbox One X (or) Xbox One but storage capacity can be expanded upto 2TB instead of 1TB. Microsoft also claims the Xbox One X to be compatible with all Games, accessories which you were playing (or) using for Xbox One.